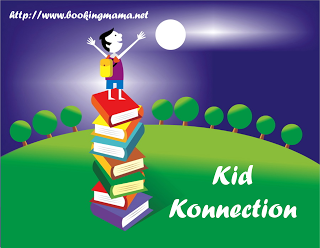 This middle-grade chapter book is great for kids who like a little silliness in their stories. Bear wakes up a bit early from his hibernation to discover his food stash has been stolen. When she leaves her cave to look for the food snatcher, no one is there, but it is snowing. After the snow stops she begins to build a snowman and finds herself next to Rabbit. 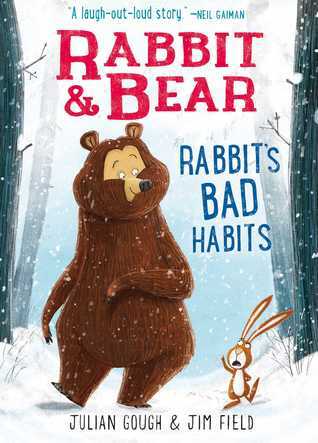 As Bear and Rabbit get to know each other, there is a lot of laugh-out-loud moments and one big awkward moment when Bear discovers Rabbit’s bad habit. Rabbit and Bear have an unlikely friendship and Rabbit isn’t the nicest to Bear. He is selfish and rude, but Bear always responds with kindness and is always happy. Eventually, Rabbit has to decide if he wants to be Bear’s friend or continue on with his grumpy ways. The illustrations are simple pencil drawings but are full of expressions and follow the story perfectly. Kids who are just starting to read chapter books will appreciate the illustrations along while reading. I also love that the author wrote this with insight and and advice from his own daughter. Julian Gough is an award-winning author of funny stories about serious things. He won the BBC National Short Story Award in 2007 (when it was the biggest prize in the world for a single short story). His “The iHole” was shortlisted for the one-off BBC International Short Story Award in 2012. He has also been shortlisted, twice, for the Everyman Bollinger Wodehouse Prize for comic fiction. For more information, check out his website, HERE. Thanks to the publisher for sending a copy of this book for the purpose of this review. This review is my honest opinion. If you choose to purchase this book through the above link, I may receive a small commission without you having to pay a cent more for your purchase.